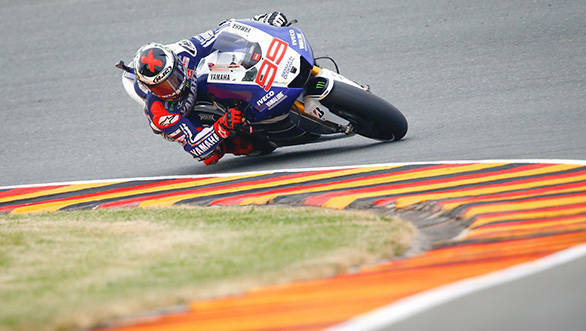 Here's what you need to know before the MotoGP machines take to the track at Sachsenring. Of the 18 rounds of the MotoGP championship, there are only seven circuits that are anticlockwise. And the challenges that are thrown up by an anticlockwise circuit are not felt by the riders alone. While the Sachsenring might be one of the slower tracks on the MotoGP calendar, shorter, too, than most other tracks, the circuit does put a fair amount of strain on the tyres. After all, with 10 left-handers and only three right-handers the temperature generated in the left shoulder of the tyre is tremendous. 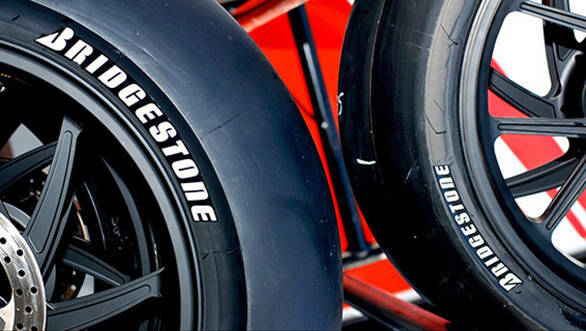 For this reason, Bridgestone has chosen to bring 'asymmetric rear slicks with much harder rubber compounds on the left shoulder'. Evidently there's something that Dani Pedrosa likes about the Sachsenring circuit, because he's won there six times (four times in the premier class, twice in the 250cc class). He won there last year by a whopping 14 seconds, claiming a third consecutive victory at the track, and making the rest of the pack look like a bunch of chumps. With Pedrosa leading the 2013 championship standings so far, there's every reason to believe the little Honda rider has what it takes to put his motorcycle on pole. 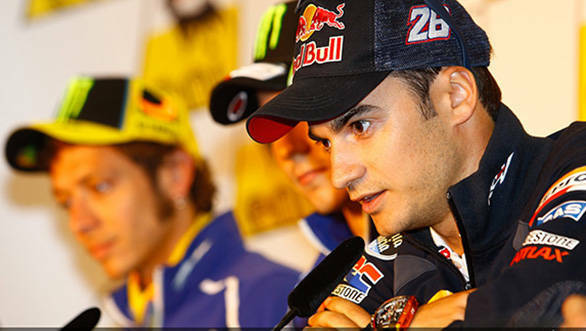 And when Pedrosa's on pole, we all know what usually happens! The Assen round of the MotoGP championship was a thriller. Valentino Rossi started fourth on the grid and carved his way past the riders ahead of him, and once he took the race lead, there was simply no stopping the nine-time world champion. 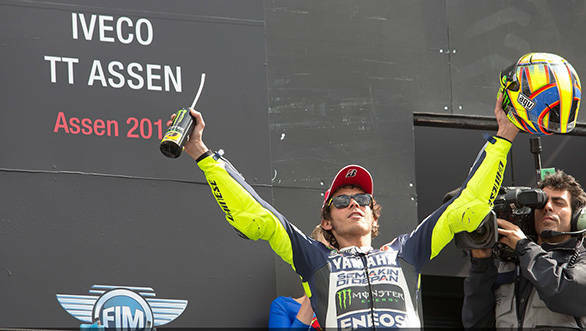 At the start of the season, though, Rossi couldn't have been very confident. MotoGP expert Michael Scott told OVERDRIVE, "Second place in the first race of the year would have been a big boost, but he was painfully aware that he was more than seven seconds adrift of his team-mate as they started the last lap." But Scott also added, "At the same time, Valentino is an optimist as well as a realist. I don't think he ever lost faith in himself." The faith paid off, and the win at Assen will have made him even more confident. Let's also keep in mind that Rossi likes the Sachsenring track too, having won here four times, the last time in 2009. Jorge Lorenzo's ride at Assen was something special. The Spaniard broke his collarbone during practice on Thursday, had surgery to fix it on Friday and was back in time for the race on Saturday. Lorenzo managed to convert a 12th place start to fifth position during the race, ensuring that minimal damage was done to his championship hopes. Now that he's managed to top the first practice session at the Sachsenring, it could be an early indicator of his pace this weekend. Lorenzo will be keen to take back the lead in the championship. And now that he's had a little time to recover from the surgery, he should be flying. We'll certainly be watching No. 99. Update: After leading the first practice session at Sachsenring, Jorge Lorenzo suffered a high-side crash at Turn 10 in Free Practice 2. The Yamaha rider landed on his injured shoulder bending the plate that holds together his broken collarbone. The accident sees Lorenzo pull out of the German MotoGP, and head home for surgery and recovery. 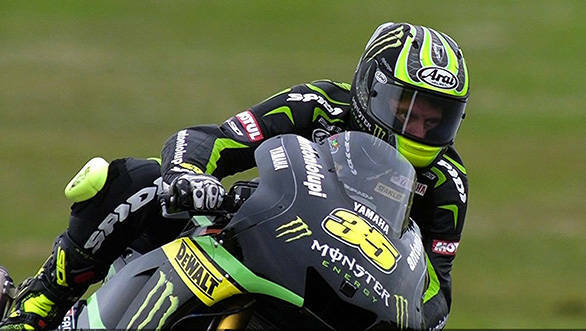 Cal Crutchlow's had an interesting season so far. The British rider has finished on the podium thrice this year, and managed one pole position when he topped the timing sheets in qualifying at Assen. Given Crutchlow's performance so far, it's no wonder that factory teams are eyeing him. One such factory team is Ducati. The Italian squad appears to like what they see and rumour has it that Crutchlow, who doesn't yet have a ride for the 2014 season, will reveal his future at Sachsenring. We're eager to see what happens. A word of advice, Cal - don't do it!